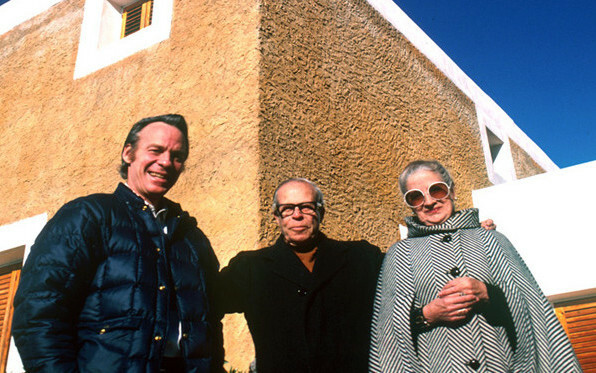 The first completed portion of Josep Lluís Sert: Architect to the Arts, the film 2 SONS OF CATALONIA had its beginnings in 1966, when Robert Gardner visited Spain to begin film work on inseparable Catalonian friends Joan Miró and Josep Lluís Sert. 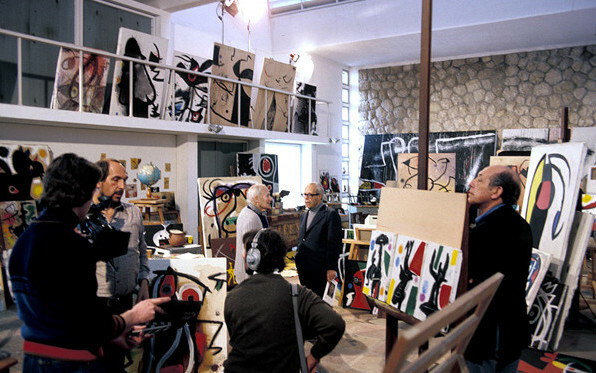 A decade later, he accompanied Sert in Barcelona as he toured The Joan Miró Foundation, which he had designed; in France, at his Maeght Foundation; and in Mallorca, where Miró was being filmed for a BBC documentary in the studio Sert had designed. The 16mm film gathered over this period was edited into 2 SONS OF CATALONIA Josep Lluís Sert & Joan Miró, a 30-minute documentary finished in 2013. In the film, Sert walks the ramp in The Miró Foundation sculpture gallery, explaining how its design provides the viewer with an optimal experience of the artwork; in Mallorca he discusses how the island’s “primitive forms” inspired him; in Barcelona he admires the Santa María del Mar and laments the “steady destruction of urban space” in New York City. Josep Lluís Sert: Architect to the Arts will be a DVD featuring 2 SONS OF CATALONIA with multi-format material including a gallery of conversations with and reflections on Sert; contemporaneous journal entries and photographs; and Polavision film vignettes from Sert’s time in Cambridge. In 1978, on the occasion of an exhibition dedicated to Sert at Harvard’s Carpenter Center for the Visual Arts, Gardner utilized Polavision, a newly launched instant movie camera system whose properties provided an intimate rendering of architectural form, showing Sert’s work to its best advantage; He filmed with Polavision at Sert’s Cambridge home (which he designed and built in 1957) and at Harvard buildings he designed, and the exhibit incorporated seventeen Polavision players, each featuring short studies of different aspects of Sert’s architecture. These films, and forty-three others unused in the show, have not been seen since the exhibition. Little motion picture documentation of Sert or his home exists. The unique material gathered four decades ago presents a rare, essential historical record of a prominent modernist designer whose career was distinguished in part by his friendships with leading Modernist artists. Josep Lluís Sert: Architect to the Arts will be of particular value to students and scholars of modern architecture, providing the opportunity to see the architect in situ, discussing his designs from within them, addressing the work in the atmosphere and history of Catalonia. 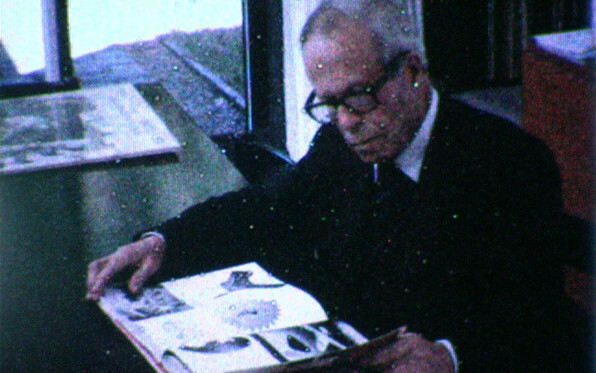 Also significant is the footage of Miró and Roland Penrose (who appears in the Mallorca studio footage), and the Polavision material itself–an important artifact for film archivists and scholars of a bold innovation that was discontinued nearly a year after its release, and examples of which are rarely screened.